In Celebration of the Rose – America’s favorite flower keeps getting better and better. 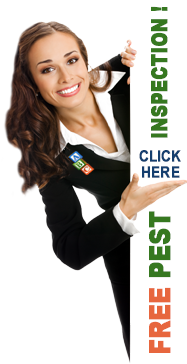 | ABC Pest Control Inc. The rose is the undisputed queen of flowers. William Shakespeare loved them. (“A rose by any other name would smell as sweet.”) Ronald Reagan loved them so much he signed a proclamation in the White House Rose Garden making the rose the official flower of the USA. New for 2017 from Weeks Roses is a new variety of hybrid tea rose called All My Loving. Developed in England by the talented breeder Gareth Fryer, All My Loving features single dark pink blossoms sitting atop traditional long cutting stems. The large, 4- to 5-inch flowers have 30-40 petals, and the color stays true until the petals naturally fall from the plant. All My Loving is a vigorous producer of summertime blooms, and this variety performs particularly well in the hot, sunny climates of Southern California and the Southwest. To ensure a healthy rose bush, give it the equivalent of one inch of rainfall per week during the growing season. Water roses at the soil level to avoid getting the foliage wet, because wet leaves can encourage diseases such as black spot and downy mildew. So what are you waiting for? Add a new rose bush to your yard during The Year of the Rose. Select a sunny spot that will allow enough room for a mature plant. If planting several rose bushes together, space them at least 3 feet apart. Dig a hole deep and wide enough to accommodate the plant’s roots. Amend the soil with a generous amount of garden compost, peat moss or other organic matter. Water thoroughly. Then mound up loose soil around the canes to protect the rose while it acclimates to its new site. For best results, plant rose bushes on a calm, cloudy day. Planting on a hot, sunny day can stress a rose bush (or any type of plant). Here are some of Christian Bédard’s favorite rose varieties for low-maintenance gardening. All of these varieties are recent offerings from Weeks Roses, and they were bred to be highly disease resistant. These new-generation roses need little or no care beyond watering, fertilizing and minimal pruning. These roses and other varieties grown by Weeks Roses are available at home center stores, independent garden centers and select garden catalogs and online vendors. For more information, visit www.WeeksRoses.com. Violet’s Pride, Sparkle & Shine, Pretty Lady Rose, Oh My! Good luck in the garden and remember, without plants we would not be here!